Discussion in 'Dining and Food' started by Teresa, Jan 10, 2015. Put your best foot forward to kick off Sinfonia's third annual Wine Women & Shoes. Proceeds benefit Sinfonia Gulf Coast and the organization's music education initiatives throughout the community. Sip Sip Hooray! 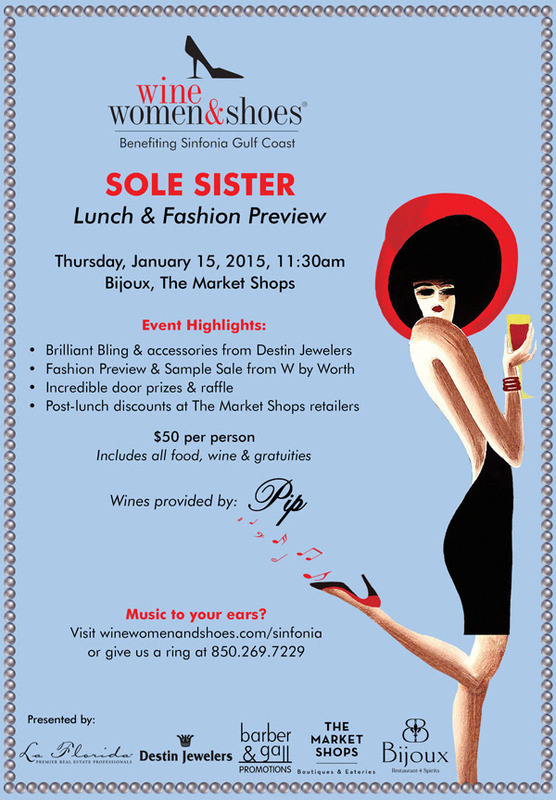 Kick of Sinfonia's Wine Women & Shoes 2015 in style! Read more about WWS main events coming up in Feb | SoWal.com feature story.